Let's call it Round Two. Piers Morgan picked a fight with conservative pundit Ben Shapiro on guns this week, marking the second time the two have sparred over the issue. The first battle occurred on Morgan's primetime TV show on CNN, which was canceled in February 2014. 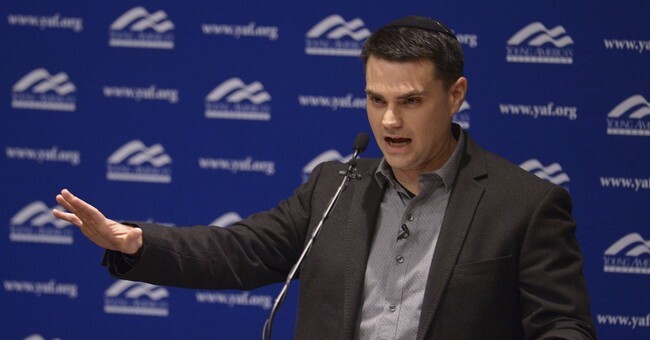 In their first meeting, held soon after the shooting at Sandy Hook Elementary School, Shapiro accused Morgan of stepping on the graves of the children who had been killed. You know, honestly, Piers, you've kind of been a bully on this issue because what you do, and I've seen it repeatedly on your show, I watch your show, and I have seen it repeatedly. What you tend to do is you tend to demonize people who differ from you politically by standing on the graves of the children of Sandy Hook, saying they don't seem to care enough about the dead kids. If they cared more about the dead kids they would agree with you on policy. "How dare you," Morgan returned. Shapiro didn't budge, agreeing that while the last four mass shootings at the time had involved an "assault style" rifle, the majority had been waged with a handgun. As such, would Morgan ban all handguns in addition to his calls for an assault weapons ban? Shapiro went on to defend the Second Amendment as a tool for self-defense and "resistance to government tyranny." The two are revisiting their fight, this time on Twitter. I think ALL semi-automatic guns should be banned, just as automatic guns are banned. Second Amendment supporters spoke up to tell Morgan to read the Constitution, reminding him that Shapiro had even offered him a copy on his show. Morgan used that comment to impugn Shapiro's integrity. What was silly about it was the size, like its owner.